Outside of his work with the Pack, prolific and endlessly weird rapper Lil B continues to put out a constant stream of mixtapes and stand-alone tracks with his inimitable vocal delivery and lexicon. 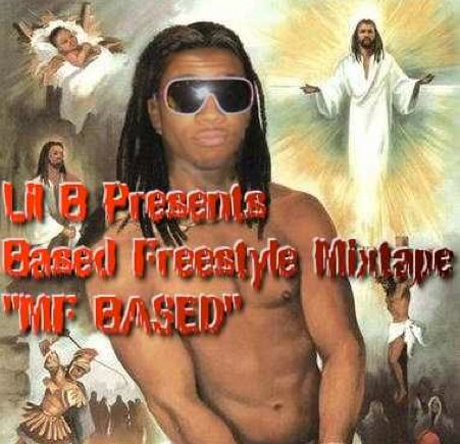 Now, the self-proclaimed Based God has just released a tribute to his weirdo rap forefather DOOM. Called MF Based, the mixtape is described as "a dedication to MF DOOM" and includes B rapping over DOOM tracks, as well as some other DOOM-inspired beats, and also references many of the masked super villain's songs. It also has some of the best album art we've ever seen.